During this Fertility Yoga Teacher Training Course you will learn simple, safe yoga techniques for women and couples who are trying to conceive. To do this well, you will need to be aware of the causes of infertility and how being unable to conceive can affect couples. You will be encouraged to think for yourself and develop your own style within a clear framework of safety guidelines. Remember that your students will also teach you a great deal every time you have a class, so remain open to learning from them. 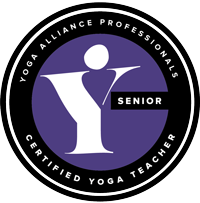 As with every aspect of yoga and many other disciplines, the job of learning is never complete – it lasts a lifetime, as we are constantly changing and growing. New research and experiences demand that we continually keep our minds open and enquiring as no book, degree or qualification – including this one – is definitive. We encourage you to do additional research and write about your own experience. This will not only result in a higher grade, but it will also enrich your study, practise and teaching. Focusing primarily on yoga and oriental medicine, this book touches on a number of topics including nutrition, acupuncture, meditation and prayer. The book is also packed with full colour photos, charts and illustrations. The authors Tamara Quinn, Elisabeth Heller and Jeanie Lee Bussell have all experienced infertility and share their stories throughout the book. *You will need to refer to this book frequently as you work through the assignments, so it’s best to buy a copy rather than download it to Kindle. There is plenty of information out there to support your studies. Please don’t feel you have to read or watch everything on the list! 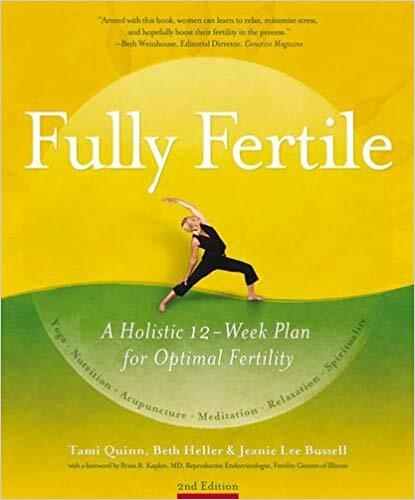 There are so many good resources available it isn’t possible to list them all, but these are the sources that we recommend and have found useful in preparing to teach our own Fertility Yoga classes. There are a growing number of fertility classes available online. Some are free via YouTube and others have subscriber only content. The subscription providers may allow a free trial period of 30 days that might be worth considering if you are planning your fertility classes and need some inspiration. It may have been a while since you were involved in formal academic studies so you may be a little daunted at the start of this course. Don’t worry. Take things one step at a time. Learning should be enjoyable, so study in a pleasant environment. We all learn in different ways; find a method that works for you. Create a timetable when you start the course. You will then have a basic framework to work with and a self-imposed commitment. Make sure the timetable has a realistic completion date and stick to it. Learning can be enhanced and reinforced by periodically referring back to previous modules. Research shows that knowledge is absorbed and retained most effectively if a) you take a 10-minute break after every 50 minutes of study and b) you do a quick review of study notes within 24 hours of first reading them. Learning has highs and lows; it can be both frustrating and exhilarating. Perseverance and patience will bring their own rewards. Distance learning allows you the flexibility of studying at your own pace at a time that suits you. Having said that, the average rate of completion is one module per month, and for most students this is a realistic goal. Homework is in the form of assignment questions listed at the end of each module. Marks will be awarded for accuracy, comprehension, personal insights and inspiration, as well as additional relevant research and diagrams or illustrations. You will be asked to design several handouts and marketing materials as you work through the assignments. These will help you to clarify your thoughts and knowledge and express them clearly. It will also mean that you are well prepared to establish and run your first course. Not all the answers to the assignment questions will be found in the text. You will be required to use your own experience and judgement in some questions. Include relevant additional research or personal experience within your assignments, giving sources where appropriate and including diagrams and tables if relevant. Handouts should be one or two A4 sheets – ready to give to your students. (A4 is EU equivalent to US 8 x 11). Make sure that the information given is clear, concise and visually appealing – use colour, logos and illustrations and carry out a spelling/grammar check. Save a copy of your work on a separate CD or memory stick – computers can and do crash so make sure you’re never in a position to lose your hours of work. Coursework that is submitted in the wrong format or that clearly isn’t ready to pass to students as handouts will be returned for re-submission. If you are unclear about the format, please ask. Accurate, detailed, clear presentation with relevant diagrams/examples where appropriate. Relevant experience, research, enthusiasm and sources listed. Main points covered accurately and in detail. Some relevant diagrams included. No serious errors. Main points satisfactorily covered. Lack of diagrams and examples. Too brief; some errors/misunderstanding. Unacceptable standard – main points not covered or inaccurate. Poor comprehension. Insufficient effort. You are not yet enrolled on this course. Clikc the button below to buy. 2. Does Fertility Yoga work?